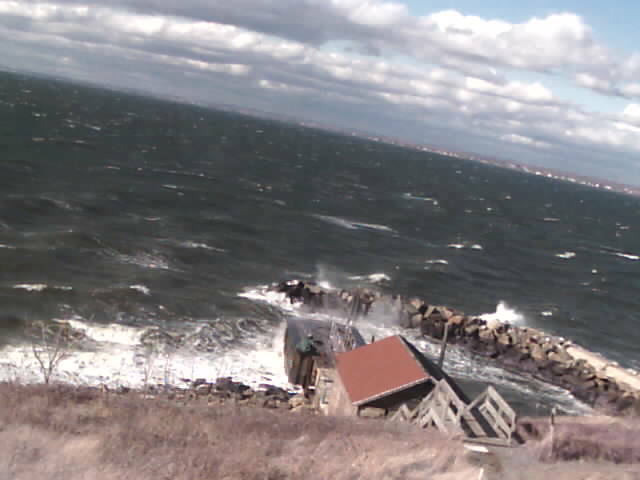 A Storm Watch (one rung higher than a gale watch) has been issued for Long Island Sound – an unusual event for September! We’re used to big tropical systems in September. More often than not if tropical storms and hurricanes stay away we are pretty quiet (Labor Day 1998 and a few other storms are obvious exceptions). This September, however, things have been fairly active in between periods of gorgeous weather. Last Saturday’s low topped supercell event was unusual and we have another strong system moving toward us. Here’s the synoptic setup for 00z Wednesday. You can see a strong PV disturbance on the dynamic tropopause over the Great Lakes. 18z NAM – 30 Hour Forecast. Pressure (mb) at 1.5 PVU. Large scale synoptic ascent will overspread New England tomorrow ahead of the disturbance to our northwest with the Connecticut in the right entrance region of a powerful 150 knot jet streak. 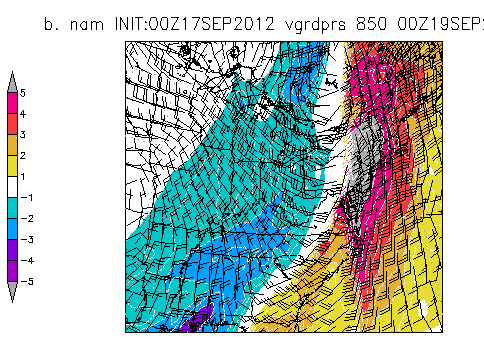 In addition a wild (for September) low level jet of nearly 80 knots will approach tomorrow afternoon. According to the PSU/Eyewall anomaly page this is nearly +5SD from normal! 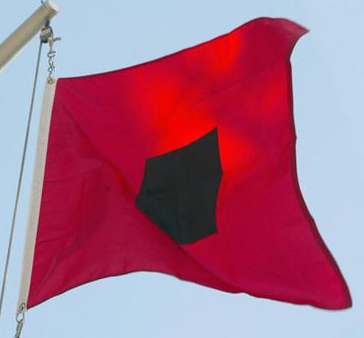 Virtually all southerly low level jet events disappoint forecasters expecting wind damage. Why? While we see 80+ knot low level jets with a fair amount of regularity during the cold season an inversion near the surface prevents the strongest winds from mixing down. An event like this, in September, can be problematic with warm sea surface temperatures and high dew points advecting north. A warmer and moist boundary layer can result in surface based instability and steep low level lapse rates thereby promoting strong turbulent mixing. If we can develop surface based instability we’ll have to watch for mini/low topped supercells with very strong 0-1km shear. A conditional/isolated tornado threat does exist if instability develops! Hodographs are quite impressive with very low LCLs. It’s unclear if updrafts will be able to form and also unclear if any convection will be discrete. If we’re able to mix down the stronger winds from just off the deck then wind gusts in excess of 50 mph are possible in places. With fully leaved trees we may see some damage. There are negatives to tomorrow’s event that give me pause. 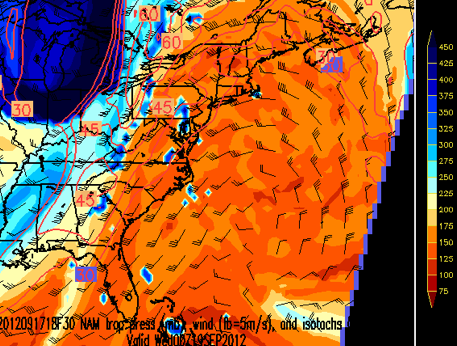 For one MOS wind speeds are pretty unimpressive tomorrow evening and overnight. In addition there are very few southerly low level jet cases that actually result in a damaging synoptic wind event. The 11/11/1995 event sticks out in my mind (boy did the wind rip that day) as one of the few events that resulted in widespread tree and power line damage. Bottom line is that damaging winds are possible but getting it to occur on a southerly wind is a tough thing to do. The tornado threat is non zero but at this point I’m hopeful the surface based instability will remain southwest of us. While I think there is the potential for tornadoes across the Mid Atlantic the threat is low here. We will have to watch any discrete convection closely given the strength of the 0-1km shear, a touch of instability, and low LCLs.